Excellent location, great apartment. Very clean and has just about everything you need. Comfy bed and great shower. Quick check in and secure parking. Very clean room and modern fixtures. Rooms.....details.....view.....staff......room service.....the guys at reception are just great....Chady and Co. .... You rock !! Feel at home stuff.....the brand name Frasers !! Lovely room. Well equipped. 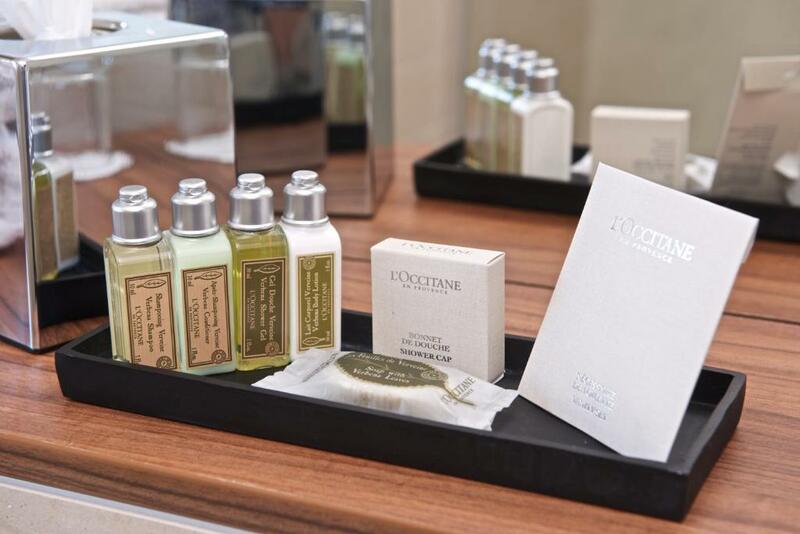 Roomy shower with Occitaine toiletries (lovely!). Nice view overlooking the barges. Not that we needed it but there was even a washing machine provided. lovely view from the room, felt safe where we were even wandering around late at night, close proximity to tubes. I was really impressed by this place last year when I was traveling for work. I returned on a much skimpier budget, but the room I stayed in this time was just as comfortable. I'm especially grateful for the ambient lighting (no harsh overhead lights) and the bathrooms are gorgeous and clean. Staff very friendly and helpful. Very clean and comfy. Great location. Absolutely loved it. Will book this location again. 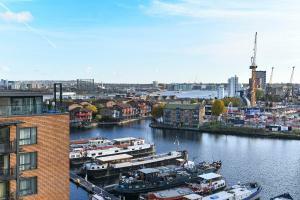 Lock in a great price for Fraser Place Canary Wharf – rated 8.6 by recent guests! 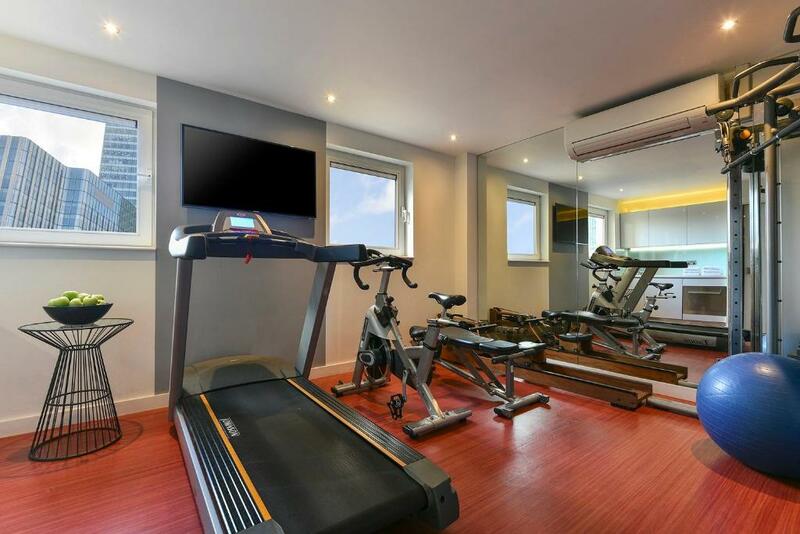 Fraser Place Canary Wharf This rating is a reflection of how the property compares to the industry standard when it comes to price, facilities and services available. It's based on a self-evaluation by the property. Use this rating to help choose your stay! 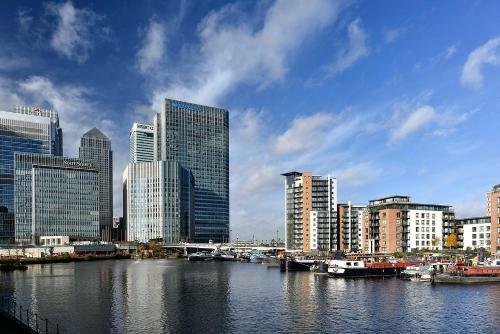 Situated in the heart of London’s Canary Wharf business district, Fraser Place offers luxury apartments surrounded by a stunning skyline. 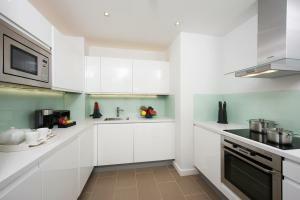 Apartments have modern kitchens and lounge areas. Residents are just a 5-minute walk to quality shopping, a wide choice of restaurants, and popular cafe-bars. Canary Wharf Tube (subway) Station is only half a mile away, connecting guests with the rest of London. Each stylish apartment has an elegant open-plan lounge/dining area, many with floor-to-ceiling windows overlooking the business district. Some of the spacious bedrooms have a balcony also offering views. A large equipped kitchen allows guests to prepare meals and enjoy them together in the dining area. There is an oven, stove top, fridge/freezer and dishwasher. The cafe at Fraser Place overlooks the marina and offers a continental breakfast, snacks and drinks for guests who do not wish to cook. 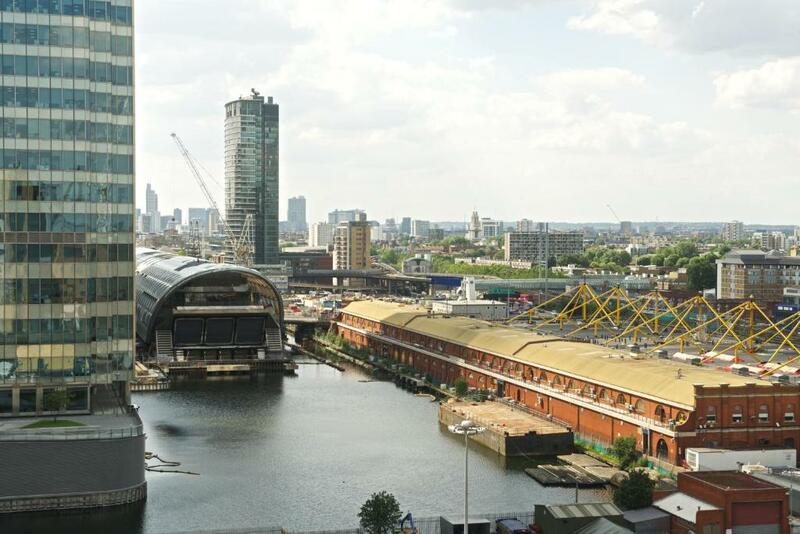 Tower Hamlets is a great choice for travelers interested in riverside walks, bars and pubs. 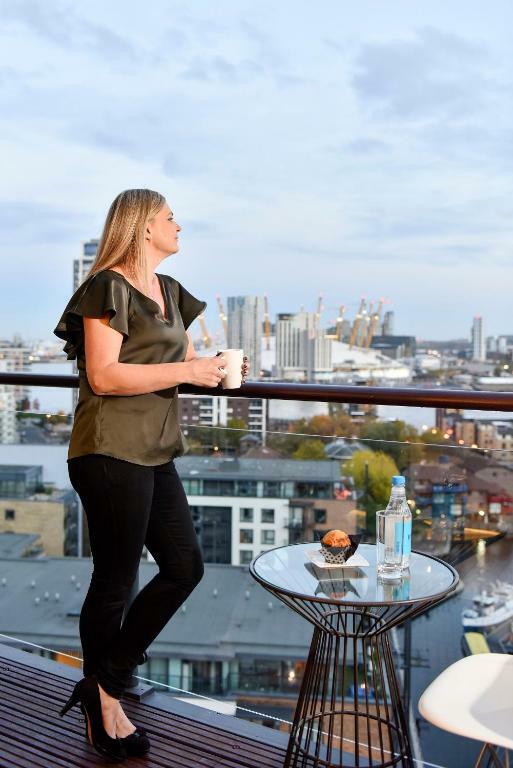 When would you like to stay at Fraser Place Canary Wharf? Offering city views, this smart, modern apartment has a double bedroom, a lounge and a full kitchen. Private parking is available on site (reservation is needed) and costs GBP 10 per day. With a separate lounge and 2 modern bathrooms. A queen bed is included in this studio, as well as an iPod dock, a flat-screen TV, a microwave oven, a fridge and a private bathroom with complimentary toiletries. This apartment has an iPod docking station, flat-screen TV, full kitchen, and a bathroom with walk-in shower. 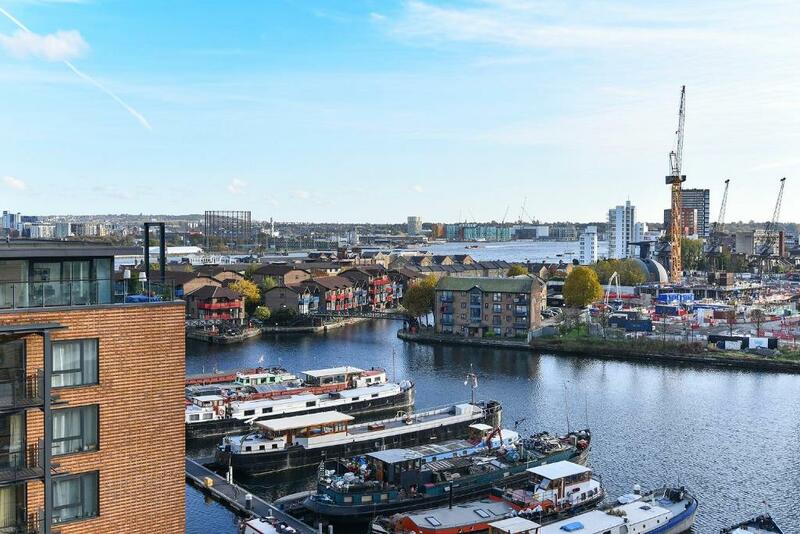 Featuring views of Canary Wharf and the O2 Arena, an iPod docking station, and a flat-screen TV, this apartment also has a fully equipped kitchen, bathroom, and walk-in shower. Fraser Place Canary Wharf offers contemporary apartments. 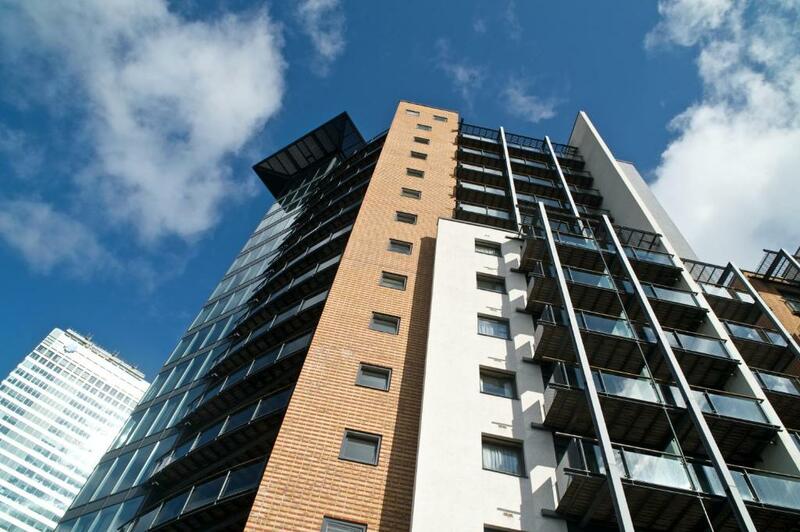 It is located 5 mins away from Canary Wharf tube station and within walking distance to Canary Wharf shopping centre. Our Property team aim to provide a gold standard service and create a memorable experience for all our guests. 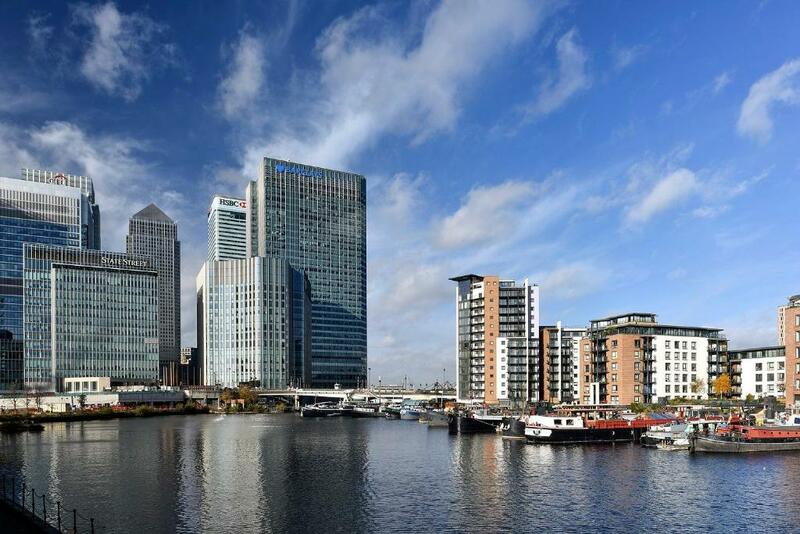 Fraser Place Canary Wharf is located in Canary Wharf, the financial district of London and approximately 15-20 mins from the O2 and Excel Centre. Area Info – This neighborhood is a great choice for travelers interested in riverside walks, bars and pubs – Check location Great location - show map Guests loved walking around the neighborhood! House Rules Fraser Place Canary Wharf takes special requests – add in the next step! Fraser Place Canary Wharf accepts these cards and reserves the right to temporarily hold an amount prior to arrival. Please note there are planned road closures for London Marathon on Sunday 28 April 2019. Access to and from Boardwalk Place will be restricted between 08:00 and 19:00 due to the closure of Trafalgar Way. Please note the credit card used for payment on nonrefundable offers must be presented upon check in for verification. Your reservation will be canceled if the correct card is not provided. This property operates a strict no party policy. Please note the property does not accommodate groups of 10 or more rooms. A damage deposit of GBP 150 is required upon arrival – that's about 194.66USD. This deposit is fully refundable at check-out as long as there's been no damage to the property. Noisy doors, no cleaners came while we were there for 3 days. This was a little annoying as we kept having to go up and down the stairs to ask for tissue and emptying litter. The cooker works although it has been set to a safety mode which makes preparing meals take much longer. The apartment was really lovely, it was clean aside from a few wear and tears. The view from the balcony was great and facilities and location very convenient. The sofa bed could be more comfortable. It had seen better days and needed a bit of working out to pull it out and put it away. There must be a bette way to provide a pull out bed with a thicker mattress. It did the job but wouldn’t want to use it for more than a couple of nights. The location is good. Pretty quiet on non business days but still has bars and shops open. Very noisy as it’s close to a bridge connecting to Canary Wharf. Need to pay extra for a better room. Easy access, as it’s just next to Canary Wharf Station. Upon arrival, reception took a compulsory £150 deposit from debit card (pre-auth), on checkout advised that I would not be able to access this money for 10 days, which I think is disgusting to hold £150 if my money. Very poor customer consideration and treatment. The flat above woke my family of 6 us @5am, by shouting and swearing, very loud music and doors banging. We called reception and they were unsure what could be done as they may have been private tenants. Modern and very comfortable. Had everything one could want, including tea, coffee, milk and bottled water. L’Occitane shower gel, etc. provided in the bathroom. Very quiet and only a short walk to the Underground station. Everything was spot on. Very nice. Pretty much everything. Location was superb, staff was lively. Value excellent. 10 out of 10. Lovely apartment but the window in the master bedroom would not shut as the mechanism appears to be broken. The problem was that it was at the front of the building so very noisy especially when Billingsgate fish market started. Rude staff and appalling breakfast for £9 each we had 1 slice of toast! The apartment that we stayed in was facing Billingsgate market and a busy road, Unfortunately this soared our overall experience. The room had good facilities (including washing machine and cook top) and was kept clean. Very poor soundproofing, we could hear noise from neighbouring apartments and from outside at all hours of day and night. Value for money, spacious, well equipped, good location. Plenty of restaurants and good supermarket nearby, close to transport links. Everything felt like home. Everything we needed was in the apartment. The floor in the living/dining area was sticky and the patio doors were covered in hand prints. The outside area could have done with some chairs and a table. The apartment was excellent, bugger than I thought it would be.